Crews are on the scene of a Wednesday night crash along Interstate 95 in Joppa. 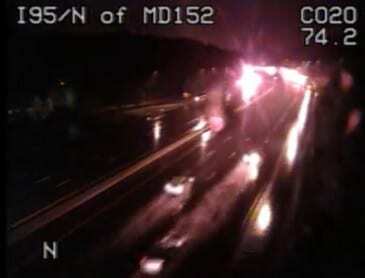 The crash was reported at about 7:45 p.m. along southbound I-95 prior to exit 74 (MD-152). All lanes of southbound I-95 have been shut down due to the crash. Crews from Joppa-Magnolia Volunteer Fire Company are responding to the scene.